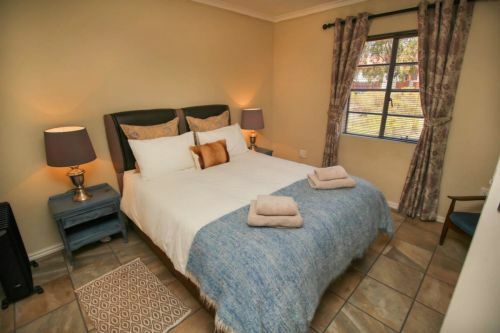 Glen Eden Farm is situated on Route 62, 14 KM out of the historic, charming town of Montagu. 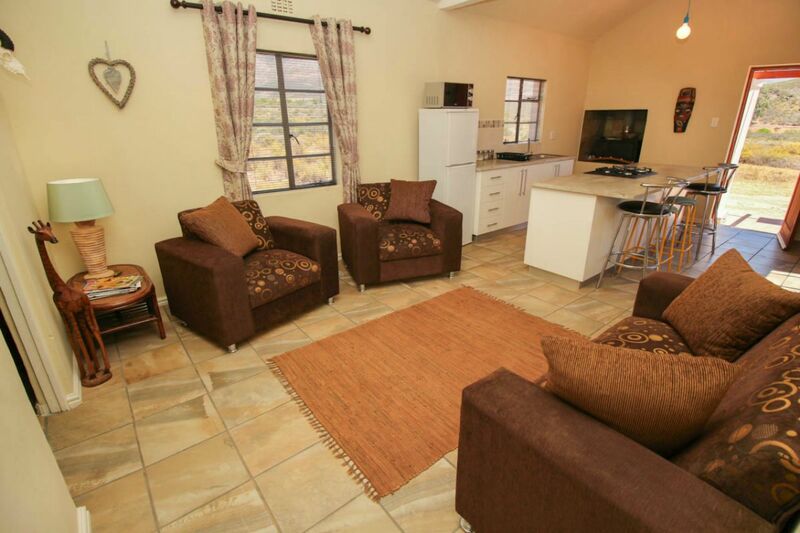 It has five luxury cottages and a glamiping site for you unwind and take in the views and fresh mountain air. Both groups and pets welcome. 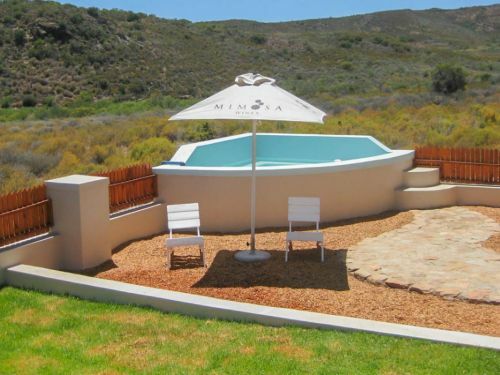 Minimum of 2 guests per stay for Sugarbird, Honeybee, Fish Eagle, House on the Hill and the Glamping site, minimum of 4 guests per stay for Blue Crane House. A 50% deposit is required upfront, payable via electronic payment (EFT) to secure your reservation. All properties have private garden's with terrace, sun loungers, dining furniture and braai facilities. Sugarbird, Honeybee and Fish Eagle cottages and Blue Crane House all have private splash pool's. 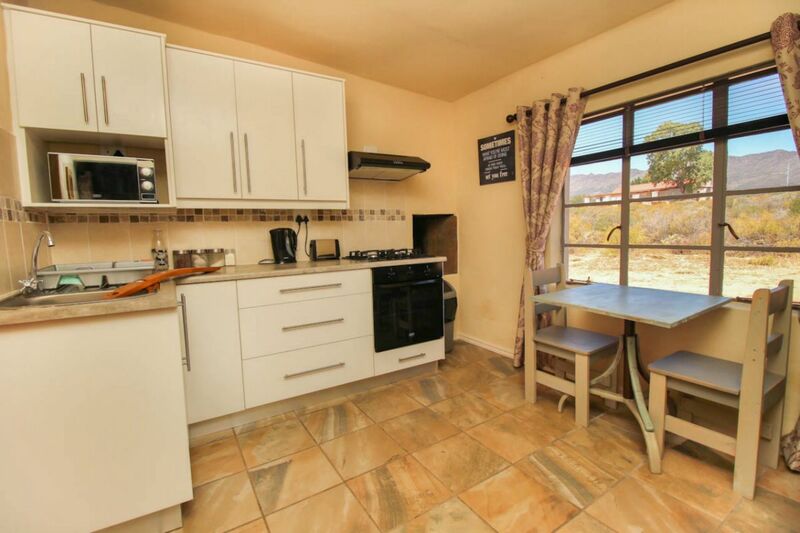 All properties have fully equipped kitchens complete with: electric oven, 4 plate gas hob, microwave, fridge/freezer, toaster, kettle and all crockery, cutlery and utensils. 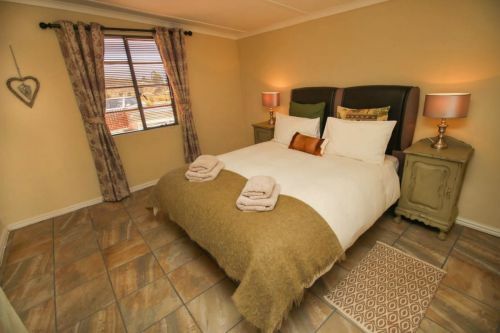 Linen and towels are also provided. 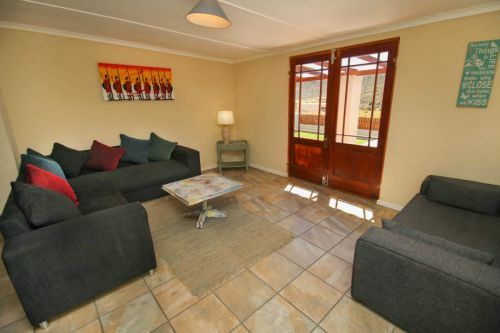 Has 2 bedrooms and a double sofa bed in the living area, this area is quite large so the sofa bed doesn't impose, there is also a large L-shaped sofa in the room. The cottage has a separate dining room, kitchen and bathroom with a shower. 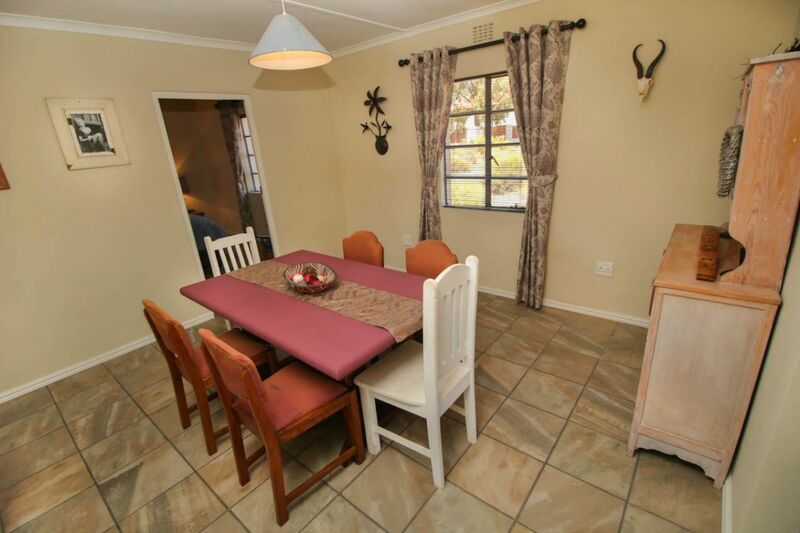 Has 2 bedrooms and an open plan living/dining room/kitchen and a bathroom with a shower. Has one bedroom, an open plan living room/kitchen and a two person dining table and chairs and a bathroom with a shower. 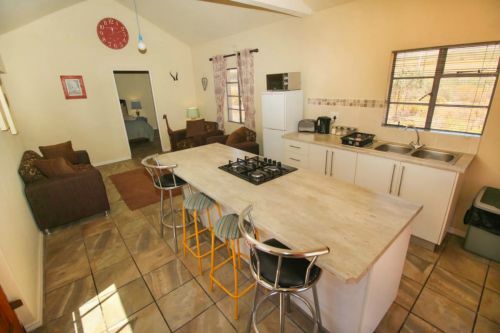 Has three bedrooms, living room with open fire, dining room with an extra bed, kitchen, toilet and a bathroom with a bath and shower. 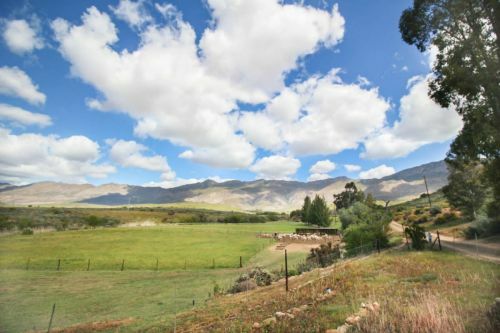 Large wrap around garden with fruit trees and fantastic views of the surrounding mountains and rest of the farm. 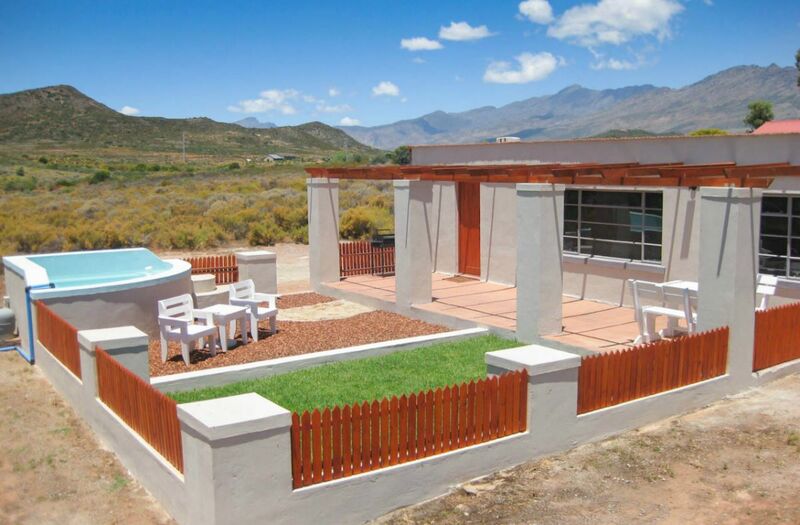 Has two bedrooms, a kitchen, living room and a bathroom with a shower. Please see our website for rates and winter specials. Be sure to check out our Glamping Site, this unique experience is quickly growing in popularity. Head out of Montagu passing Spar on your right and travel towards Barrydale on R62, we are located just over 14 KM from Spar on the left hand side. Some things to look out for: On the left you will pass 'Forest Timber' there are hundreds of fruit picking crates outside, on the right Guano Caves and then around 6 KM after guano Caves on the left you will pass a large dam, the farm is situated also on the left after this dam. The gate to reception is directly before a green sign on the left 'Ruigtevlei', and the gate to the cottages is situated 50/60 metre's past this sign also on the left.